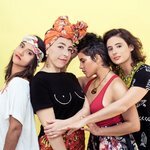 An all-star quartet of women multi-instrumentalists from Venezuela, Brazil, Columbia and the United States (in collaboration with American bassist Pat Swoboda) who, as well as performing as a touring band, strive to engage youth in their respective communities in the process of music-making, composition and audio production through collaboration and performance workshops. 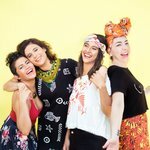 They describe their project as 'a music ensemble that creates original work and socially engages communities on a global level'. 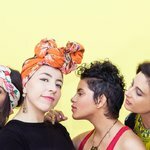 So far, the rousing energy of their mix of disparate roots and contemporary pop styles sung in Spanish, Portuguese and English has seen the project grow and grow with their debut album reaching #1 on both iTunes and Amazon Latin Music charts and invitations to conferences such as TED and Skoll World Forum and international festivals from WOMAD to SFJazz. Ladama are a positive force in times urgently in need of tolerance and communication.